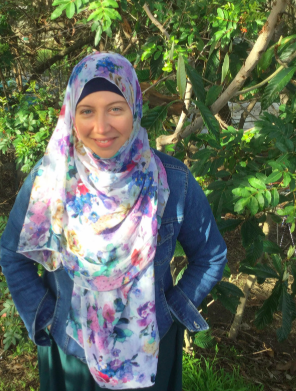 Megan Wyatt has been coaching, teaching, and writing for Muslims since 2008. She is wife, homeschooling mother of four children, an author, and entrepreneur who is is passionate about personal development from an Islamic perspective. She is already known for her work in the field of relationships, bringing her unique voice, experience, and training to the Muslim community. Wives of Jannah was created in 2010 for Muslim wives in the West featuring relationship coaching for wives and couples, online training programs, on-site events, ebooks, podcasts, and gathering spaces of women committed to honoring love and marriage in their lives. Co-authored with Megan's then tween daughter Aisha, the How to Get Hijab Ready book was successfully self-published in 2015 after a fast paced crowd funding campaign on LaunchGood which led to the first $20,000 being raised to go to print. The book, along with a color matching canvas tote bag, is the first modern "how to" books for young girls. It's the book every hijabi wished they'd had growing up! Find Your Mr. Right was developed for single Muslim women and developed out of the original company, Practimate. The 8 week online FInd Your Mr. Right program created by Megan , containing content, coaching, and strategic interactive exercises, has been supporting single Muslim women to attract, meet, and marry since 2008. The Passionate Imperfectionist is Megan's newest platform to connect with individuals who are inspired by Islamic personal development and looking for events and experiences to come together to learn, grow, and network. She combines her experience coaching and training Muslims since 2007 to create a fresh space for onsite and online training events.